It's like candy and toothpaste had a baby just to spite dentists everywhere. 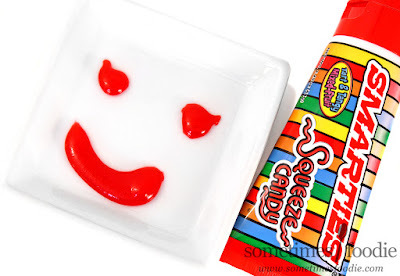 This kind of squeeze style liquid candy has been around for quite some time and they're really popular with small children, but you don't need to be a child psychologist to understand why. It's liquid sugar, with bright colors, packaged in a squeeze tube. What's not to love? I remember buying a bunch of Hubba Bubba's Squeeze Pops from Blockbuster video back in the 90's and thinking I was the coolest kid on the block, but looking back, eating them was super awkward and messy, and I honestly don't remember them tasting all that great. I was walking around Five Below a few months ago to get some sour sweets for the Candyology 101 podcast, and I saw this lonely tube of squeezable candy sitting on the shelf. I picked it up for a closer look and someone who was restocking the merchandise said it was really popular and that they couldn't keep it in stock. Welp, that sold me! Into my handcart it went. I wonder 28-year-old-me will like this stuff as much as 8-year-old-me. This bold packaging photographs beautifully and I can see why it appeals to kids, because these colors are gorgeous! So it looks great, but how does it taste? 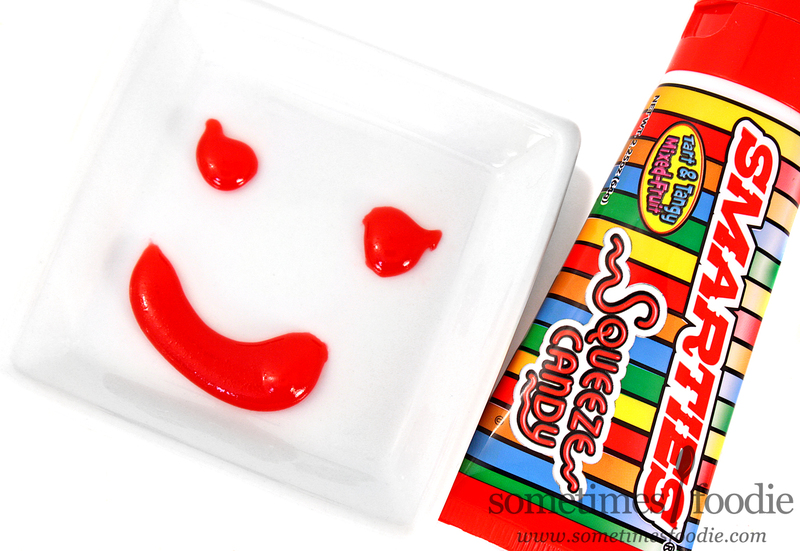 I peeled back the little foil safety seal on the tube and the candy inside was bright red! Smarties are always pastel colored, so I assumed this would be some kind of pastel hue, but it's not. This is red. Super red. (As opposed to super green.) It's so red that I don't want to know how much food coloring went into making it...but it smells really nice. Kind of like cherry slushies and freezer popsicles. 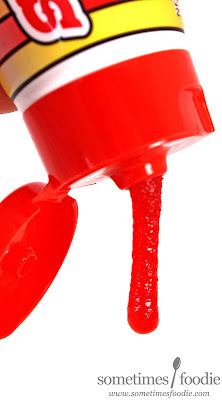 This stuff tasted really similar to a red cherry ice pop or slushie, but you might want to contact the company about their ingredients just to be 100% safe.